Evening Mark is your kit insured? Thanks Geoff, Not immediately helping the blood pressure there, I have never been so interested in maritime traffic, not even when I shipped the house contents out to NZ! Yes the shipping is insured! As long as it floats in the right direction Jag! 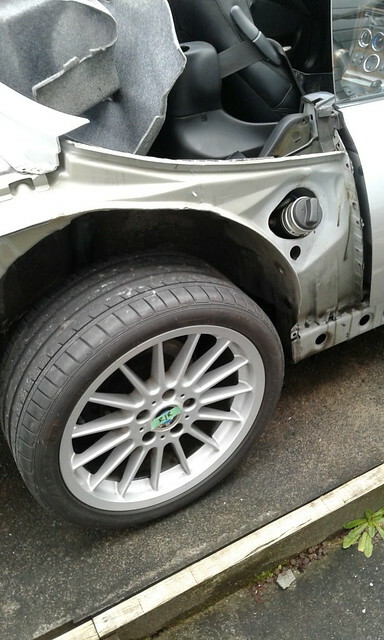 I am not sure the mgbgt rear door will be in once piece after a smell of salt air tho! Last edited by Welshkiwi; 2nd June 2018 at 19:46.. Reason: Missed the answer! Hi guys, been a while since an update so thought better let you know what’s happening. Kit turns up in NZ supposedly next wed. Be about a week to clear customs and freight to Auckland so hopefully delivered around 11th July. I am testing the donor car this week so it has reg and testing thru till Jan next year when the car will be back on the road. 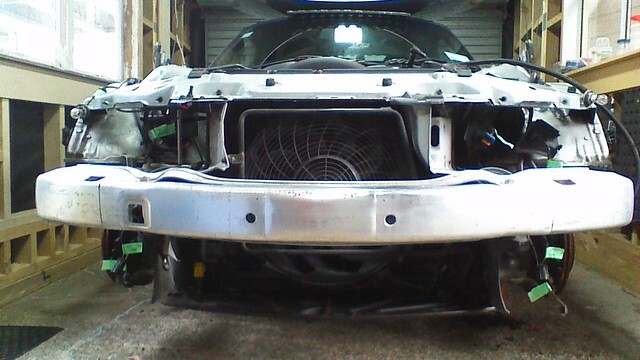 Then donor is starting being stripped next weekend. First jobs are checking all the exposed bits/discs and pads as req’d and extending/logging all the wiring/harnesses. I am going to talk to og rims about wheels, but they don’t do 72 spoke 15” on their website, only 13” - so we’ll see. Likely the fuel tank is coming out to do the filler extension, so sub frame etc has to come out for that work. All going well, work starts next week! Cheers. By the way did you talk to these guys http://www.lucentt.co.nz/painting-on-plastic for chroming your bumpers? Last edited by nzidol; 4th July 2018 at 04:05..
Hey fella, awesome work on the detective work. No haven’t talked to the plastic guys, how I didn’t find these considering I am 5 mins away but hey, thanks for finding them for me! Will see what they can do and update in case you are interested at all. Pararubber seal looks good, again I need to explore those guys as to what they have once the panels get here and I know what exactly I need, but a great start thanks. Yes found the Aussie wheels guys, I may drop them a line once I have heard back from ogrims in the us. Got a few questions in with them. The donor got wof’d today and is now officially off the road. Teardown starts in the next few days. If you had any trip ups or things to be careful of always happy to receive sage advice! Cheers hopefully full of luck for the challenges ahead. Awesome fella, PM sent. Cheers really appreciated. Will log all those little bits like clips etc, really handy to know. Catch you soon. Well guys I have put aside the disappointment that the kit panels are delayed during shipping and now not in the country yet and not expected until next Friday. So at least a week and a half until those get in my grubby hands. So I started today anyway, managed about three hours on the car in amongst still trying to finish the build area. 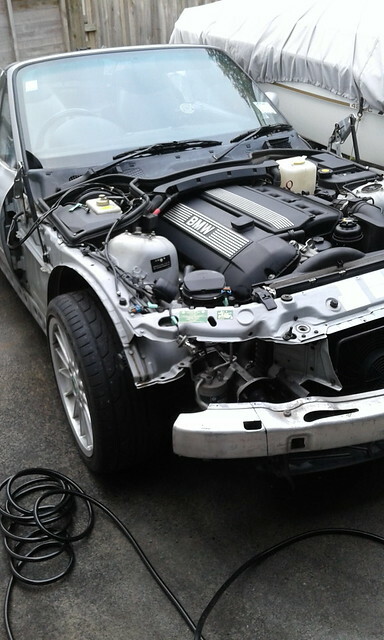 Reasonably easy start, assisted ably by NZ Idol's disassembly guide and the good condition of the car itself. Everything that has come off so far in good nick and the uncovered areas look pretty good. Black lines on the alloy bumper are the approx cut lines for the one piece clam to clear. It is really happening chap. Oh how is it so difficult to get things right? So how can people get things so wrong? Today I was made aware that the customs clearance and associated bill has been granted so happy days. Also during the process the ship is now arriving in NZ tomorrow so the "update" I had last Friday couldn't have been more wrong! Anyhoo, good news is I should get the kit early next week now. 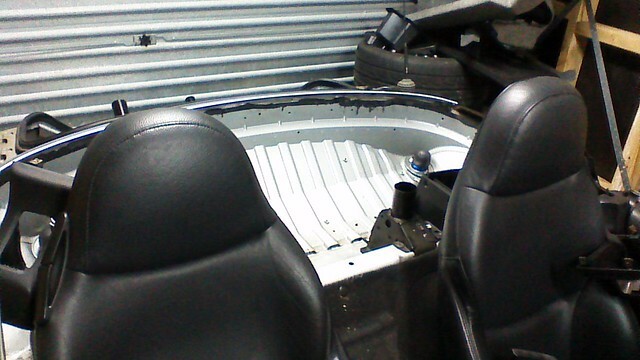 Progress tonight after work has been good, all rear end stripped, including rear quarter panels. Condition is good underneath so minimal cleaning and protection will be required. 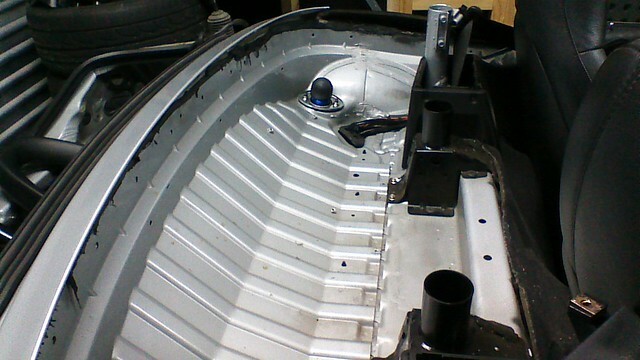 Just the sills and the Fwd lower panels left and then the task of trying to work out how the roof comes out! Keep ya posted. I have broken it now! Hey guys, progress has been coming thick and fast, virtually stripped all the way now, only a few minor bits to tidy and remove. 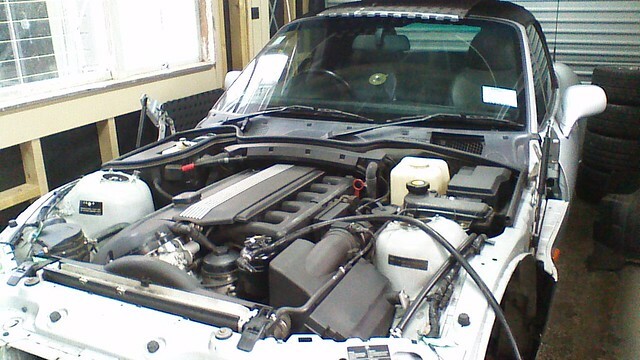 Will get the cert guy around now to get stuck in to see how we are going to extend the fuel filler. Really satisfying getting this far, however it doesn't matter how comfortable you are turning something roadworthy into this state does have it moments! 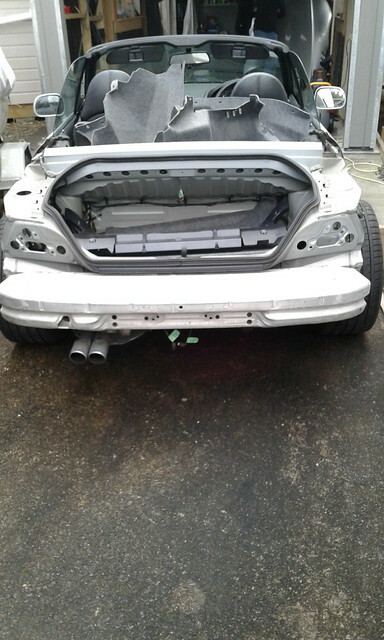 I would be tempted to fit the fuel filler and only show the examiner after the body has been fitted! The pipe is only pushed down into the tank and glued in place with sealant, not the ideal solution but I can't think of an alternative. If someone had a spare tank sitting on a table you might be able to see if some kind of adaptor could be machined up. Could then be sold to builders. Fair thoughts jag, but over here fuel pipe extensions are part of the cert process so has been declared from the start. Reason we will discuss is whether we can work an adaptor that has an inner tube/outer sheath assy that can be bonded and clamped in place and without taking the tank out. 1st look at it seems to be tight so I may be taking the tank out anyway to do it. The only issue for me is disturbing all that may end up with reliability or failures down the road. We’ll see what happens. I have thought to see if I can find a tank to play with but won’t be cheap. Have been working on the rear light harnesses, for some reason can't get the reversing light to fire so that is my scratchy beard issue for tomorrow. I am really lucky with the donor I bought, no signs of corrosion/rust or issues under any of the unearthed areas, it has been looked after during the 19 years it has been on the road. 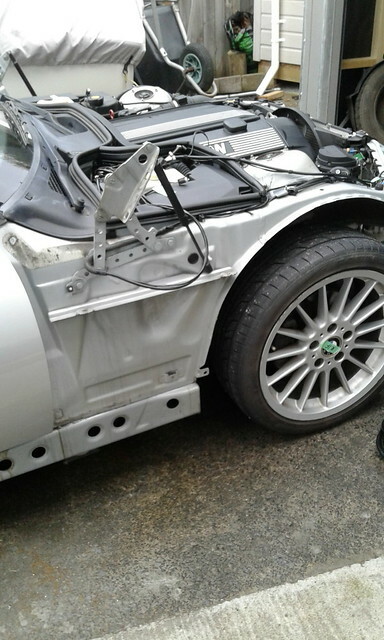 Once the panels arrive this week it will be full steam ahead when I can get to it, going to focus on the front clam/electrics etc to give me a good positive shot in the arm start before I get stuck into the heavier shifting of the rear and the bonding work/fuel filler and fuel tank work. 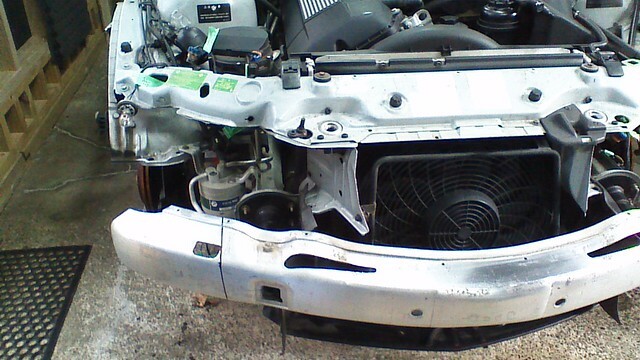 I am not looking forward to the sub frame coming out if that is what it needs. Inner door skins coming off tomorrow so I can start scratching the grey matter on how I am going to marry the Mini door handles into the door mech. 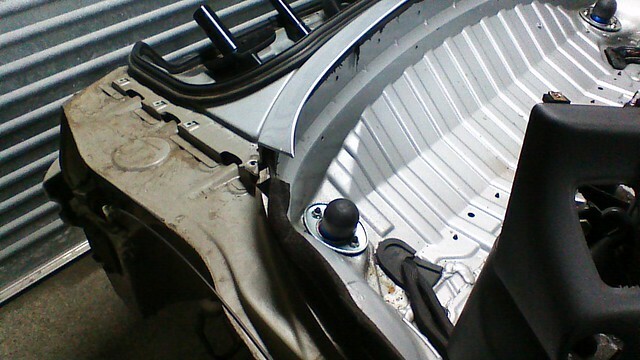 I also need to change the drivers seatbelt to meet the regs for removing an airbag, so a new webgrabbing belt will be fitted. 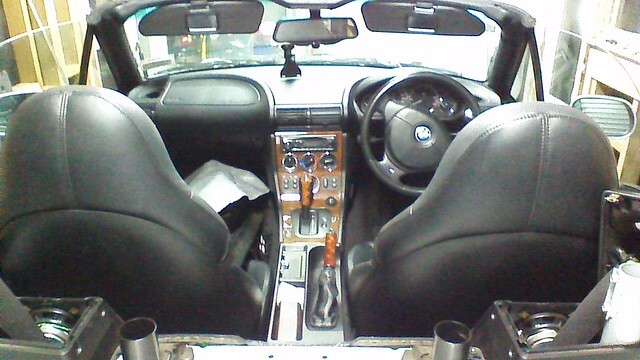 I am happy with the condition and look of the interior rear (i.e. storage box and upholstery around the roll bar area) so am keeping that until I later on play with the interior in a few years. I can't imagine what the wait is like, knowing how far your kit has travelled. Thanks Paul, yeh the wait is hard, but it has given me a bit of time to step back and think. Even though I still have a lot to work through and stuff to buy when I can work it all out in my hands, it has allowed me some calm before the storm. 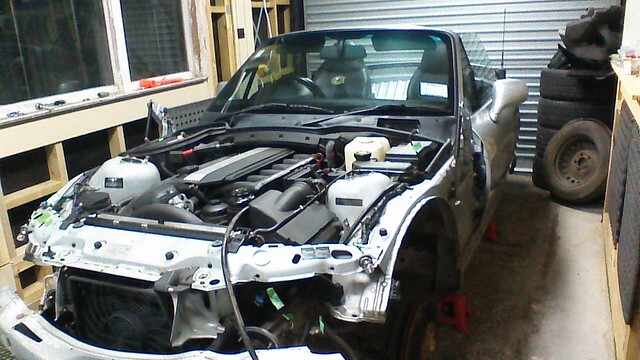 Just got to hope the stuff turns up in good nick now as I have well and truly stuffed up a nice z3! Cheers. 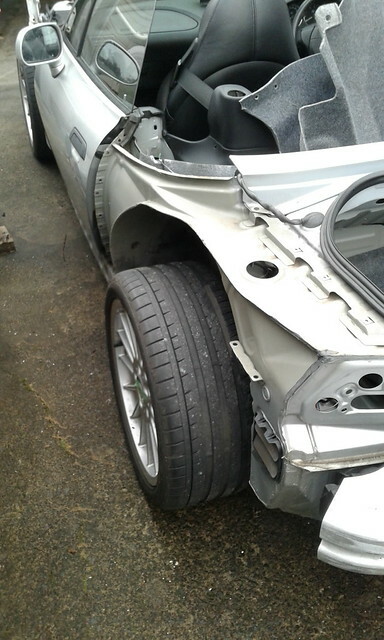 Hi guys, this is as much for me as it is for you so I have a record of it on my thread, but if you need a bit of assistance with the wiring in the Z3 harness at the rear of the car "pre the rear light assy plugs" then here we go. Well done, now go and do the front and don't forget the spot lights! I carefully wrote it all down on a notepad but left it out and it got rained on, EricHolmes thread has some nice pictures of his wiring notes that I used so you can cross reference to check. This information you be great to put together in a Tribute build pack. Hi guys, I know the Z3 wiring is a bit easier to work through on the front, but here it is if required. (One of these below is side different to the Haynes manual for wiring colour, either they mixed it up when printed or my car was stuffed up with the wrong wire installed in the wrong side of the harness. Have checked more than twice and I know I am not colour blind so who knows!) NEG = Brown for standard -ve wiring. R/H and L/H headlight adjusters are both Black/Brown/Yellow for 1/2/3 Posn. Update on the kit, it arrived today. A few things straight away to sort with the guys back in Blighty, but great to have it in my hands under some sort of control! Keep you updated. Cheers. All times are GMT +0. The time now is 02:41.